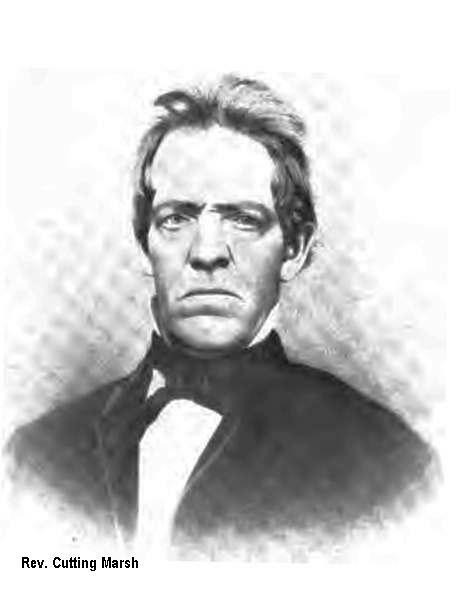 One of the earliest mentions of Poweshiek comes from the Reverend Cutting Marsh. Those Diaries are digitized at the Wisconsin Historical Society website. "After breakfast which they prepared, which was broiled corn and buffalo meat, we crossed the river which was above mid-side for the horses, and 25 or 30 rods in width, and rode about a mile to Pow-we-sheaks, a Fox village, which is beautifully situated near the banks of the Red Cedar River, and a large fine prairie stretches out to the West for a great distance. This village consists of about 30 bark lodges, some perhaps 12 feet in length and others 40 or 50 and about 15 ft high. Whole number of souls estimated at 4 hundred. When I arrived at the head Chief's lodge they were preparing for a sacred feast. Having killed a buck, so according to custom a feast must be made. After the usual ceremonies were over we were presented with a bowl of boiled corn and venison and soon after this nearly a lodge full was invited in and the fat buck was soon eaten up. Rose early and went down upon the bank of the river in order to have a season of devotion. Whilst there I heard the sound of a drunken party coming up the river. Soon I returned and found they had been riding our horses during the night, having taken them without liberty. I made a complain to the Chief P. (Poweshiek) but he had also drank and he would do nothing about it, and besides was very impudent in his language, saying that I had no business there, etc. Wishing doubtless for a drunken frolic and money to purchase liquor, he wanted to have me give one of his young men 2 dollars to guide me to the Ke-o-kuk village, when the evening before one had agreed to go for one dollar but now was off drinking and could not be found. After I had left his lodge and was preparing to start, he came out after me and still wished to know if I did not want a guide. But I gave him the same answer as before, however a gracious providence kindly furnished us with a guide a part of the way and the rest we found no difficulty following the trail. Leaving the village with a sorrowful heart to see how deeply its miserable inhabitants were sunken in degradation and superstition, and spiritual darkness, and beseeching God to have mercy I followed my guide down the river, passing some cornfields where they were harvesting, etc. I crossed the river by fording, and found the current strong and the water in the deepest places came up to the mid-sides of the horses..."